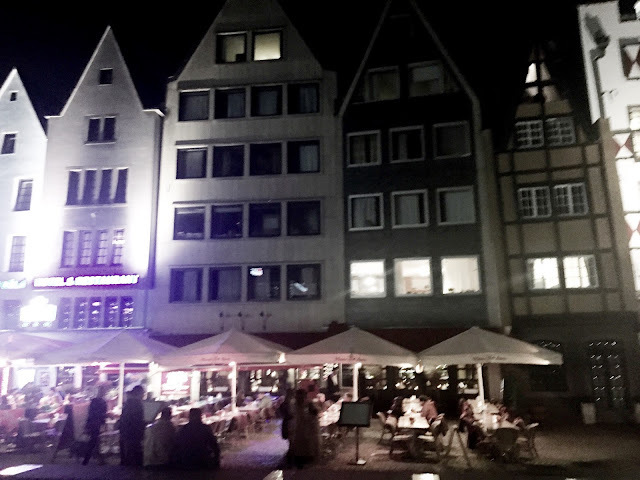 Kölsch way of life.. Cologne diaries!! What Feni is to Goa and Toddy is to Kerala.... Kölsch is to Cologne in Germany. When I first heard about it, I thought this would be some kind of a strong alcohol beverage which will need a taste to be developed to enjoy it. But it is the exact opposite.... its damn refreshing from the first sip to the last. So what is Kölsch - It is a clear, all-barley pale ale with a bright, straw-yellow hue similar to a standard German pale lager. This is a PGI (Protected Geographical Indication) product, which means that it can only be brewed within 50kms zone of Cologne. The entire city of Cologne (known as Koln in German) seems to have a distinct Kölsch culture. 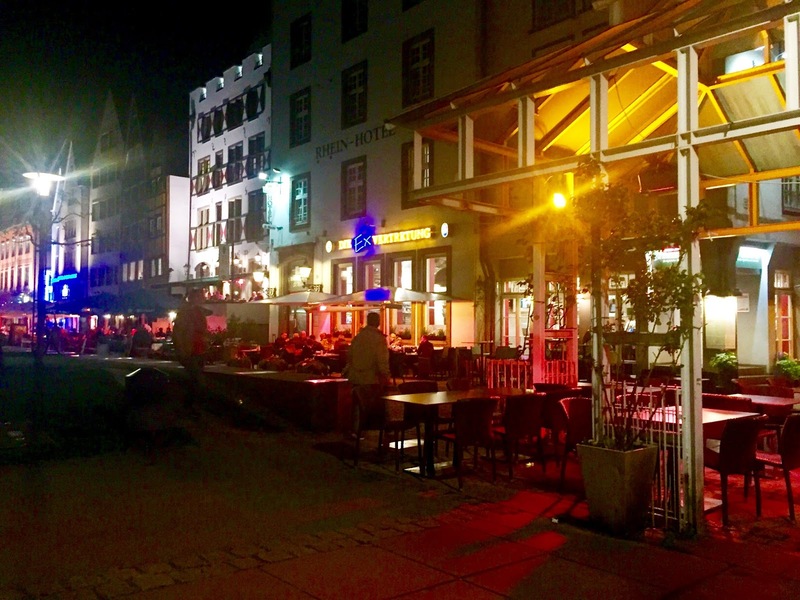 There are multiple pubs and restaurants by the banks of River Rhine, people just sit by the river and enjoy their drinks. Most of the restaurants here serve Kölsch. This drink is also served in special glasses, very different from the normal beer glasses or wine glasses. These are 0.2 centiliter rod-shaped glasses and waiters keep refilling them as soon as you empty one. 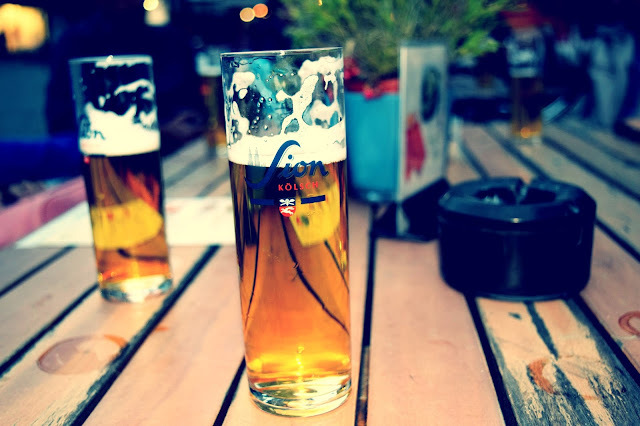 The glasses are known as 'Strange' and the waiters serving Kölsch are known as Köbes. slightly bitter after-taste but much less stronger than the regular beer. The color is clear golden with little fog on the top. Its mild and crisp flavor just melts in the mouth. 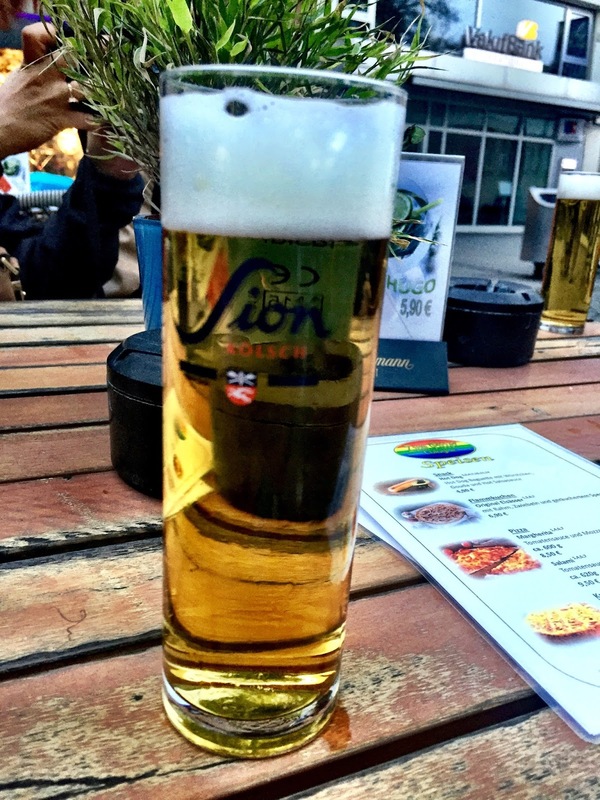 Unlike most of the other beers, which are too strong or bitter to enjoy, Kölsch is mid and can be enjoyed by males and females alike. I would rate it as 5/5 . 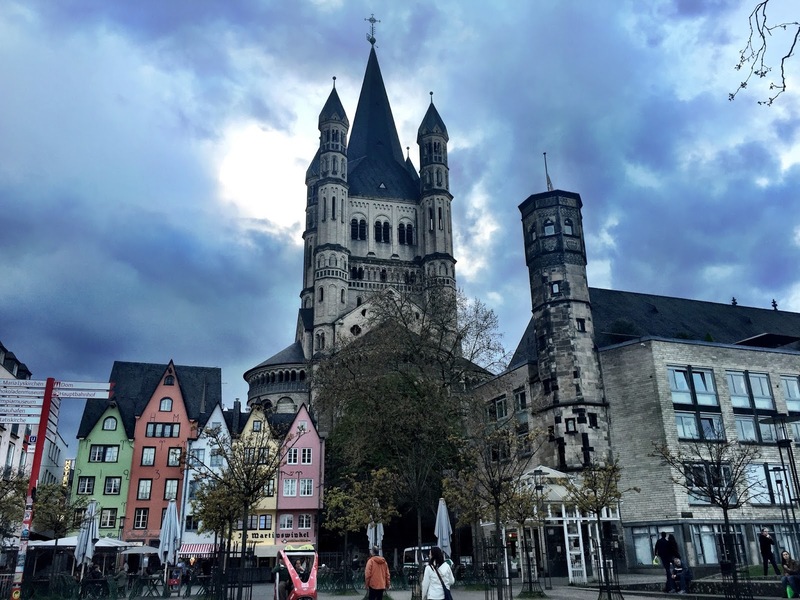 I think if you ever visit to Germany, then Cologne is a city which must be visited, the culture, the Kölsch, the amazing cathedral.. makes it a very memorable trip. yeah.. I also came to know only when I went there... Nice place.. Thanks Priyanka for your comment!!! I remember the cathedral. Great pics. first of all kudos to the picture quality and clarity. amazingly shot. secondly it was such a pleasure reading about the Kölsch. though you say that it can be liked by males too, i feel that it must be quite popular with ladies, given its lightness and mild frothiness. pleasure reading! Thanks Jiggyasa for your kind words..
Great post dear. I visit Dusseldorf often and pop over to Koln every now and again. Felt nostalgic, reading your post. Beautiful shots of the place. Nice place to visit. Have heard about Kölsch but for some reasons could never try it out! Next time shall surely try. Nice photos and so interesting to read your post..